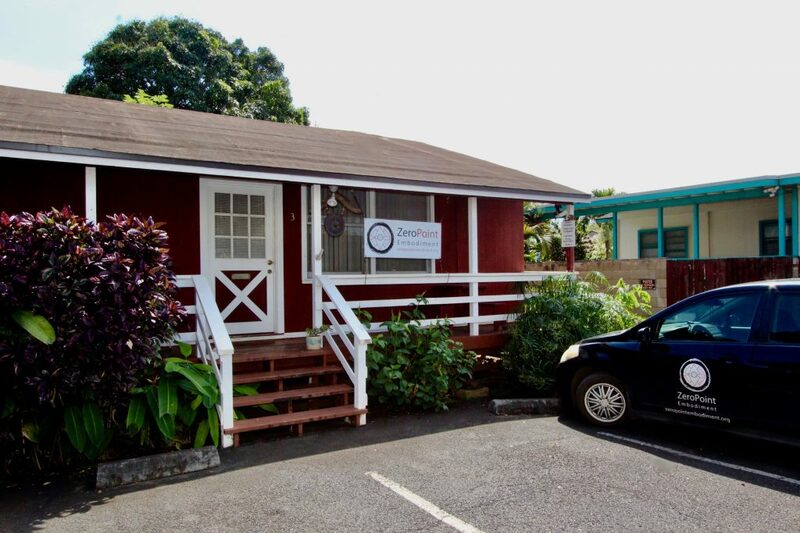 ZeroPoint Embodiment offers Private Practice Room Rentals in our Studio located in Historic Haleiwa. Our space is in a quiet, beautiful setting with an ocean view. We have two rooms ideal for all types of bodywork and private wellness consultations. The rooms are spacious enough for private yoga, movement or martial arts classes. There is a waiting area, resource library, bathroom and a healing garden is being established. Other features of our studio include parking, website listing, monthly email newsletter listing, WIFI and social media marketing. Practitioner must be pre-approved. Please provide photos, description of services, proof of Hawaii licensing requirements, insurance and professional qualifications. The practitioner will be interviewed by ZeroPoint Embodiment and Property Management to be pre-approved.